The 747-8 Intercontinental is a state-of-the-art, high-capacity 747 with new engines, new wings and a dramatically enhanced passenger experience. 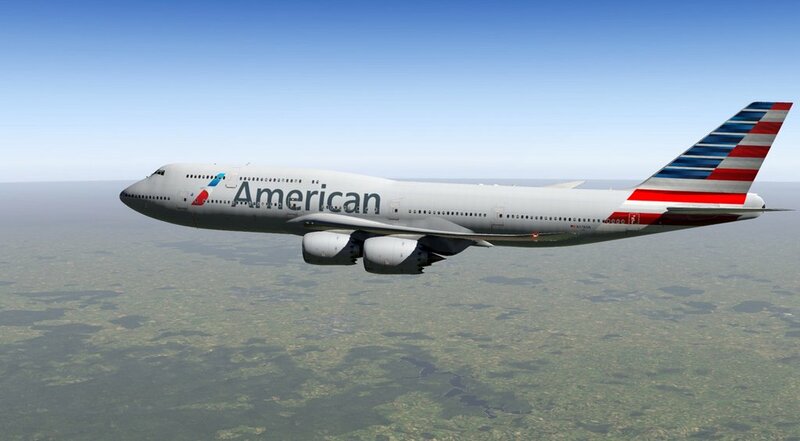 The fourth generation of 747, the 747-8i is the largest version and the largest commercial aircraft built in the United States. It is also the longest passenger aircraft in the world. Officially licensed by the Boeing Corporation. Completely rebuilt from scratch, building on SSG's experience with its popular freeware 747-8 releases. Aircraft meets most of the real aircraft's performance data for consumption, AOA, speeds, flight dynamics, etc. in consultation with real world 747 pilots. Manufacturer's performance data embedded as tables in the fully functional FMC. Realistic 3D cockpit with high resolution, in all render settings. Many systems are implemented with realistic logic, such as electrical, hydraulic, pneumatic, engine fire extinguishing, fuel (with dumping capability), wing and engine anti-ice (including automatic mode), communications, and TCAS. External lights and strobes operate realistically. 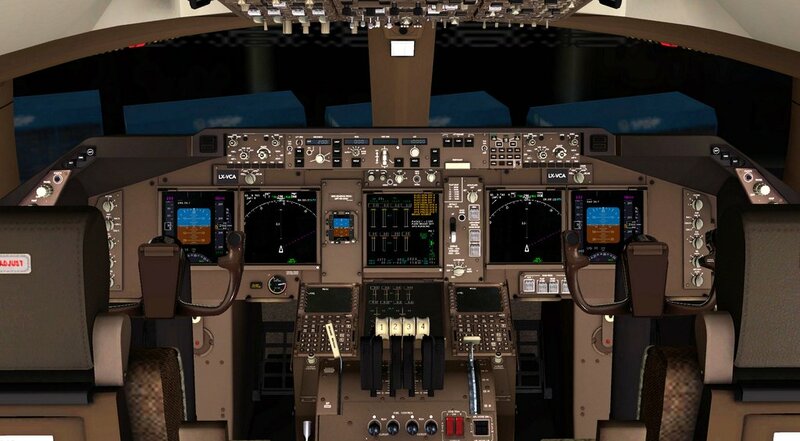 Display management similar to that in the real aircraft (information can be switched between displays). EICAS messages based on the real aircraft's with lists for multiple pages and recall capability. Window rain effects and animated wipers (viewable from the cockpit). Electronic Flight Bag (EFB) with payload management, fueling and pushback menus. 3D sounds with Dream Engine plugin. TSS (Turbine Sound Studio) real recorded sounds. 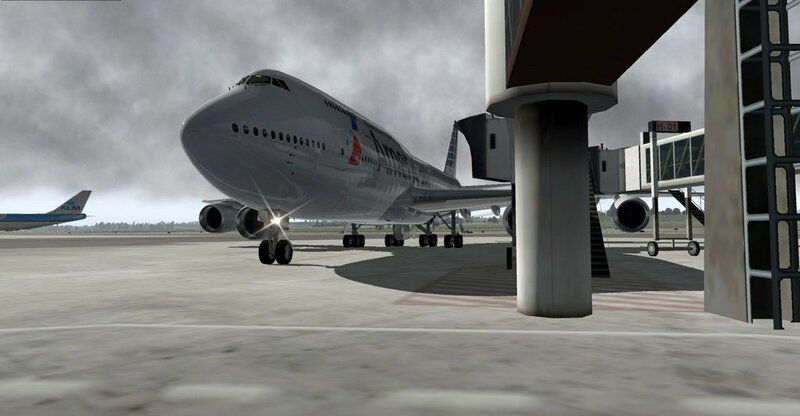 FMC made by FJCC especially for the 747-8i with more than 100 interactions with the flight model, including SIDs, STARs, transitions, approaches, flare and rollout modes. FMC is compatible with AeroSoft's NavDataPro and Navigraph navigation databases. Option to use either a 2D pop-up (resizable) FMC or one within the 3D cockpit. Custom radio communication and audio consoles with digital keypad optimized for on-line virtual ATC operations. FMC performance information based on real aircraft data, including calculated V-speeds. FMC includes capability for autotuning navaid frequencies. Terrain display mode on the ND, which is a part of the Enhanced Ground Proximity Warning System (EGPWS) on the real aircraft. Ability to switch the displays between magnetic and true heading presentations. Comprehensive Flight Crew Operation Manual (FCOM) and a Quick Start Guide. Windows 7,8,10; MAC OS 10.7+; Linux. SSG B747-8 version 1.4 on 04-07-2016 from SSG on Vimeo. - Fixes low FPS problem in some Windows machines. - Fixes speed setting lower when autothrottle is in use. - Fixes DME waypoint bug when loading flight plans. - Improves autoland behavior, especially on rollout. - Small fix in the speed limit with flaps on the PFD. - New strobe and beacon lights, now with ground reflections. - Default ground vehicle configuration fixes. - Better cockpit night lighting. - Small fix on MCP SPD dial. - Tuned fuel consumption and flight model performance, especially the engines so that it is very close to that of the real aircraft based on performnance tables. - New navigation data installer (for Windows and Mac only) to facilitate first time installation in proper folders. - Fixed a bug when loading fuel when it is selected as pounds. - Fixed a problem when selecting STARS in very big Airports. 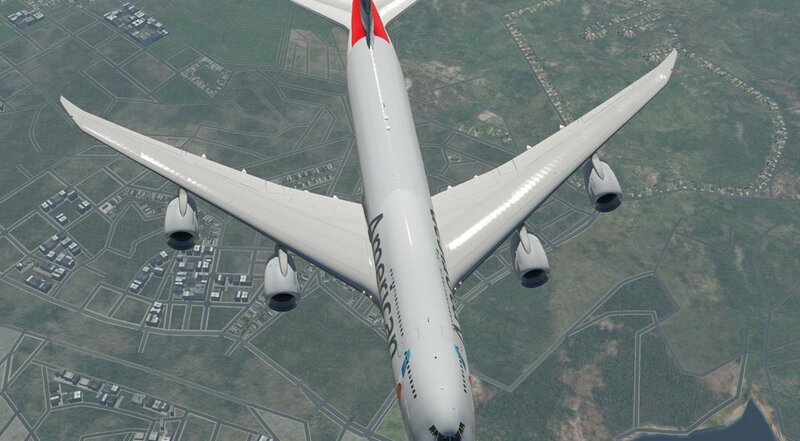 - Added additional default liveries to Intercontinental version. No neeed to redownload the entore file, run the x-updater included in the aircraft folder for a smooth update. 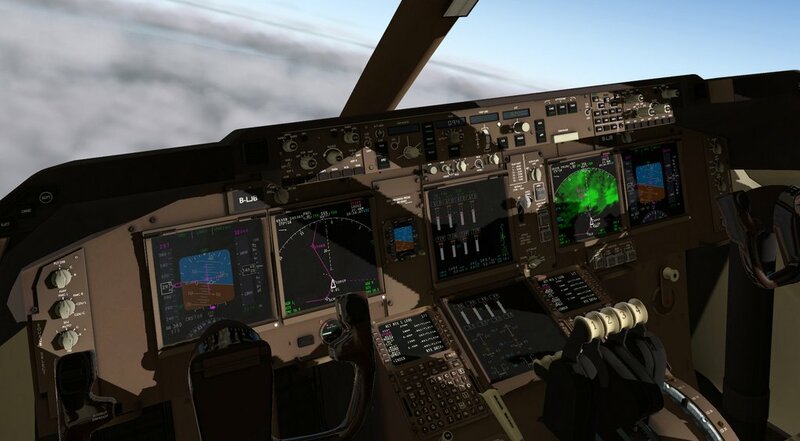 - New Navigraph AIRAC dataset that will fix some problems related to SIDs, STARs and approach procedures that sometimes were not found when airports/runways changed in X-Plane. This new dataset also allows for a much faster load of airport information into the FMC. Keep in mind, this also changes the method by which future AIRAC databases will have to be updated for SSG 747-8 Series V1.8. Instructions are included with this update. - Improved “direct to” function in the FMC LEGS PAGE. The package is hybrid XP10/11 - the files don't need to be replaced anymore. Climb speed now depending of CI and weight, min speed 320 max speed 340. Now you can set CI=40 and perform a proper flight envelop. Terrain Map improved with better algorithm. Fixed and improved flight dynamics. Fixed the APU not restarting. 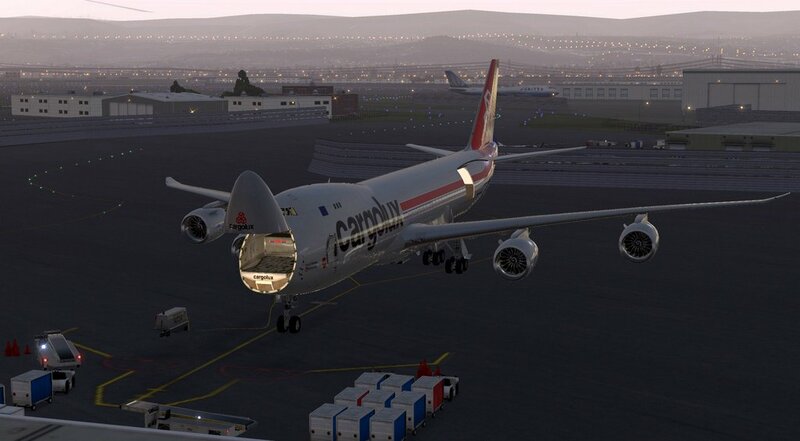 This version brings compatibility with XP11 latest public beta, some further texture improvements, as well as some additional features and fixes. - Fixed issue with brakes and auto brake. 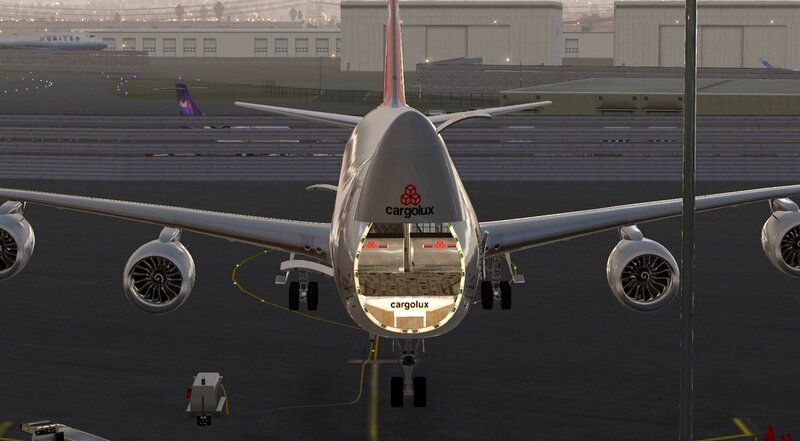 - Fixed issue of speedbrakes retracting automatically after landing. Various internal changes to improve FPS, so most users should experience better performance.